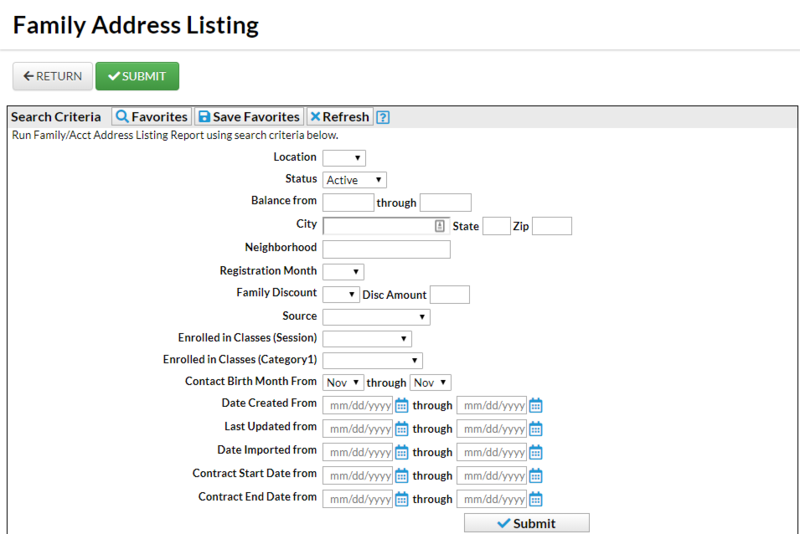 The Family Address Listing Report can be found on the Families tab in the Families/Students section of the Reports menu. This report creates a listing of families based on various search criteria available to choose from. You are able to customize the report to include only the columns of information that are important to you! If you use this report frequently, make it a Favorite Report to allow you quick and easy access! Using your selected criteria, Jackrabbit will compile a listing of families who meet ALL of the criteria chosen. 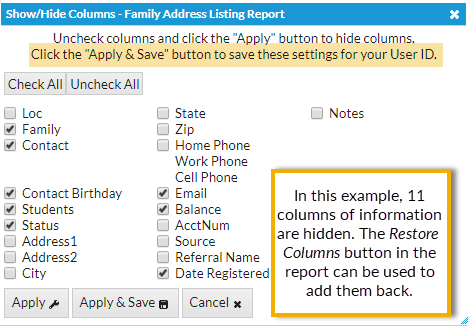 In the report results, using the Show/Hide Columns button, you have the option to select which columns of information for the families that you want displayed. You would like to send a Happy Birthday email to contacts in your active families who have a birthday in the coming month. The report results include all contacts with a Contact Birth Month of 11 in the Additional Information section of their Contact record. Use the Email button to open the Jackrabbit email editor where you can select an email template or create a new birthday greeting. A history of this email is kept in the Family record, on the Misc tab > View Sent Emails for 180 days.